In India, since 2011, 22nd December is celebrated as National Mathematics Day every year to commemorate the birth anniversary of Indian Mathematician Srinivasa Ramanujan. The Indian government had also declared 2012 as the National Mathematics year. The Day is celebrated to honour his contribution to the field of Mathematics and also to keep his legacy alive to inspire the future mathematicians. Ramanujan was born in the year 1887 and totally devoted to his life to Mathematics. The number 1729 is famously known as the Hardy-Ramanujan number. Belgium Football team came at number one position in the end-of-the-year FIFA global rankings. Belgium has 1727 points in the rankings whereas current world champion France came at second rank with 1726 points. FIFA or International Federation of Association Football conducts football’s major international tournaments including FIFA the World Cup. FIFA was founded in 1904 and has its Headquarters in Zurich. A three-state field-level campaign on Beti Bachao Beti Padhao (BBBP) will be organised by the Union Government from the first week of January 2019. The campaign was launched by Gauri Gadgil, a Divyang child and an international swimmer, by placing her fingers on traditional instrument “Dholak”, symbolising the creation of reverberance about the scheme across the three states-Maharashtra, Goa and UT of Dadra & Nagar Haveli. The Union government has notified 10 Central Agencies giving them the power to intercept, monitor and decrypt all the data contained in “any” computer system in India. The Cyber and Information Security Division under the Home ministry issued this notification. Section 69 of the Information Technology Act, 2000 includes provides for the interception and monitoring along with decryption for cyber-crime investigations. 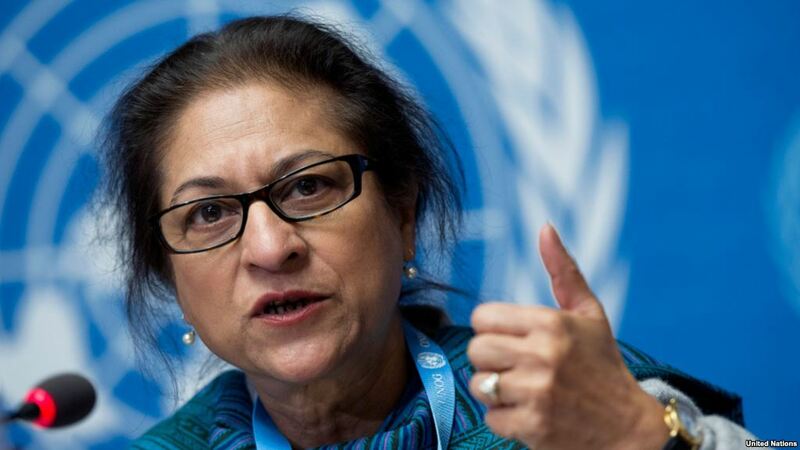 Late human rights activist, Asma Jahangir was on December 18, 2018 awarded with the UN Human Rights Prize 2018, posthumously. Asma Jahangir passed away on February 11, 2018 due to cardiac arrest. She was known for her outspoken nature and unrelenting pursuit for human rights. With this win, she became the fourth Pakistani woman to be awarded with the UN Human Rights Prize. This year, the award coincided with the 70th anniversary of the Universal Declaration of Human Rights. Other 3 winners were women’s rights activist of Tanzania Rebeca Gyumi; Brazilian Joenia Wapichana and Ireland’s human rights organisation ‘Front Line Defenders’. Senior bureaucrat Pranab Kumar Das has been appointed as the chairman of the Central Board of Indirect Taxes and Customs (CBIC), the apex policy-making body for indirect taxes. Das, special secretary and member (customs) at CBIC, will succeed S Ramesh, who superannuates on December 31. Das is a 1983-batch IRS officer of Customs and Central Excise Cadre. The CBIC is headed by the Chairman and consists of six members. The Union Cabinet has approved the establishment of two new All India Institute of Medical Sciences (AIIMS) at Madurai, Tamil Nadu at a cost of Rs 1,264 crore and Bibinagar, Telangana at a cost of Rs 1,028 crore. It is expected that each new AIIMS would cater to around 1500 outdoor patients per day and around 1000 indoor patients per month. The cost of construction and running of the new colleges would be met by the Central Government under Pradhan Mantri Swasthya Suraksha Yojana (PMSSY). 1. Which among the following is the Hardy-Ramanujan number? 2. When was FIFA founded? 3. How many central agencies were given power to intercept, monitor and decrypt all the data contained in “any” computer system in India? 4. Who is the UN Human Rights Prize 2018 winner from Pakistan? 5. Who has been appointed as the chairman of the Central Board of Indirect Taxes and Customs (CBIC)? 6. How many members are there in CBIC excluding chairman? 7. How many new All India Institute of Medical Sciences (AIIMS) will be established as per the cabinet approval?